Wenger is an artist based in New York City. She has her Master’s of Art in Art Education. A lifelong advocate of all art forms and public education, she works as an art teacher in a public school located in the South Bronx. 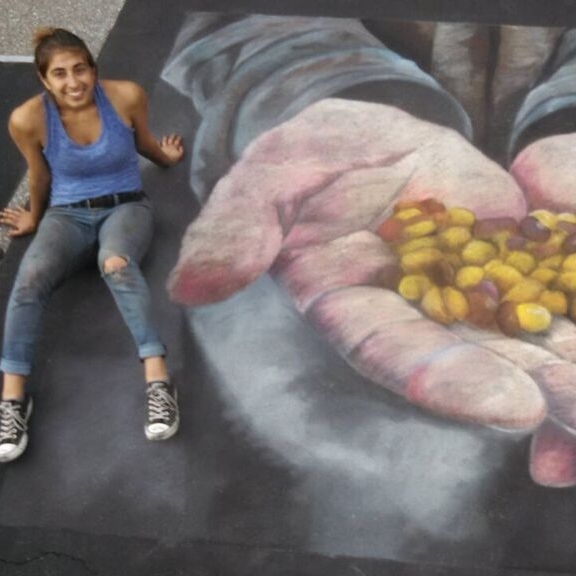 She began chalking in 2013 at the Hudson Valley Chalk Festival. There she met numerous artists who took her under their wings, and showed her the wonders of chalk painting. Being a chalk artist has given her the opportunity to travel to different states where she is able to engage with the people and express how important and valuable the arts are for communities.